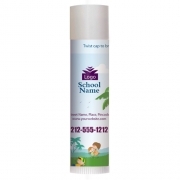 Personalized natural SPF 15 one color imprint lip balm can trigger that healthy, fresh, and soft feeling, when rubbed over parched lips. 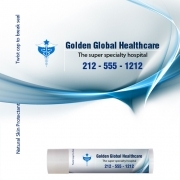 This lip balm offers protection from harsh sun elements, dryness and boosts confidence of a person wearing it. This lip balm is formulated with aloe, shea butter, vitamin E, and SPF 15. It helps to overcome the dryness plaguing lips and your campaign with ease. Health Quotient – High Quality Natural Moisturizers Used for Formulation. No Sulfates. No Phthalates. No synthetic dyes. No additives, preservatives, fillers, or harsh scents used. Cruelty- free. 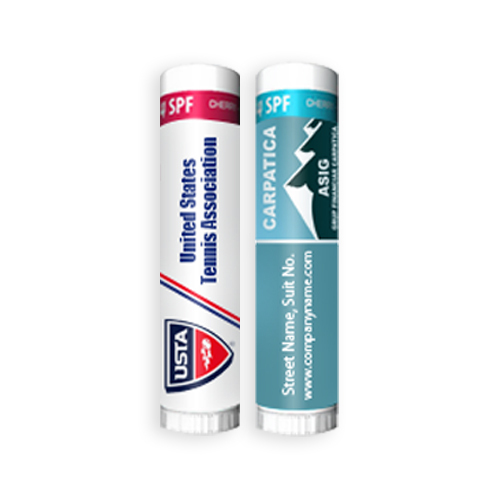 Directions – Generously rub this Natural SPF one color imprint lip balm over lips before stepping out in sun. For best experience, slide the tube directly over lips. 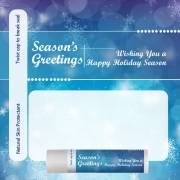 Gifting Favors – A personalized natural SPF 15 one color imprint lip balm makes an excellent promotional giveaway for salons, spas, hotels, and restaurants. 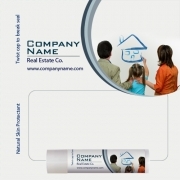 It can be preferred for personal gifting in any season.